Poorly designed SharePoint and Office 365 applications can leave holes in your solution security. 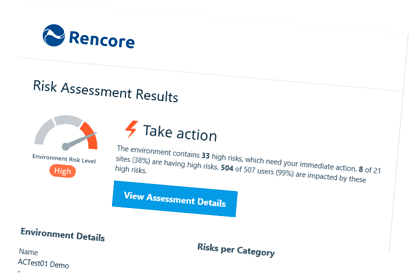 Take our Free Risk Assessment to understand how your SharePoint applications are built and whether they contain any harmful code. Leaving holes in your solution security means poorly designed applications can introduce malicious code. Your organization is then susceptible to malware, spam, phishing, and loss of confidential data. Your organization could lose intellectual property, acquire legal fines, lose competitive advantage and company image. Make an action plan today to strengthen your solution security.